Bryce Quig-Hartman is one of the on-board engineers aboard the John Lennon Educational Tour Bus. The Educational Tour Bus is a non-profit mobile studio which provides students with the technology to produce songs and music videos, spending 10 months out of the year visiting schools across the country. South By Southwest provided a change of pace for the staff members aboard the John Lennon Educational Tour Bus. Though they spend 10 months out of the year visiting schools across the country, South By meant a three-day travel break for the staff, as they focused on giving tours of the bus at the SXSW Music Gear Expo. The Educational Tour Bus is a non-profit mobile studio which provides students with the technology to produce songs and music videos over the course of single, eight-hour sessions. Bryce Quig-Hartman, one of the bus’ on-board engineers, has been with the bus for three years. Hartman said he loves seeing kids get excited about making music. The bus often brings together musicians who don’t know each other. Hartman said seeing kids from different states or different high schools come together to make music is one of his favorite things about working on the bus. Hartman, who works on the bus with a few other engineers, said the kids aren’t the only ones learning. Though he’s a classically trained pianist, his co-workers have started to teach him guitar. AWOLNATION performs at ACL Live at the Moody Theatre on Thursday night. With only a few more days left, we're still live-blogging South By Southwest — the good, the bad and the very, very loud. Follow Daily Texan reporters, photographers and editors as we post the highlights of our work here. For minute-to-minute coverage of the best and the worst that SXSW has to offer, follow us on Twitter at @thedailytexan. 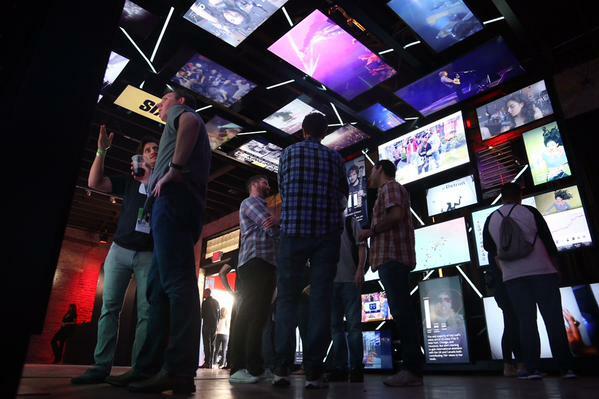 Want a recap of Wednesday at SXSW? Check out our coverage on yesterday's blog. 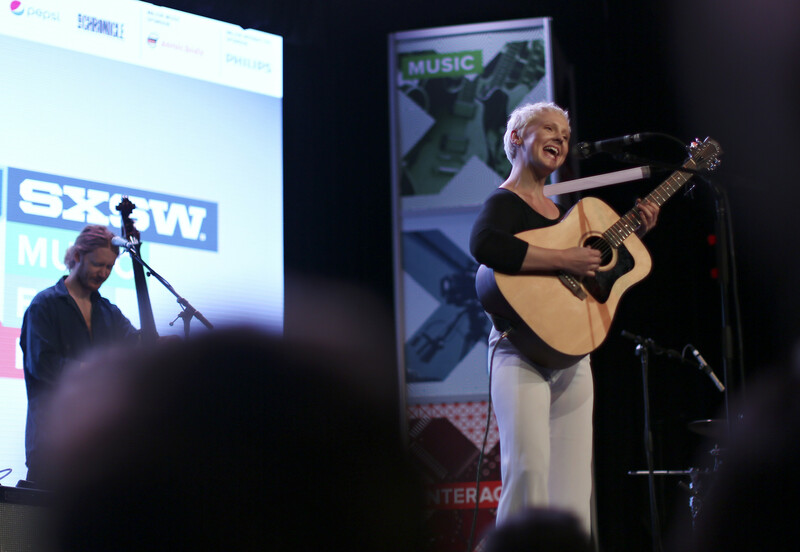 Update (7:30 p.m.): Madisen and the Mama Bear, a mother-son duo group, took the stage at South By Southwest on Friday. Their show displayed an intimate and deeply personal vibe, and the dynamic between the mother and son was endearing and enchanting. To read our full review, click here. Update (5:15 p.m.): The band Best Coast stopped by South By Southwest on its North American tour. The band played through some songs from its forthcoming album. 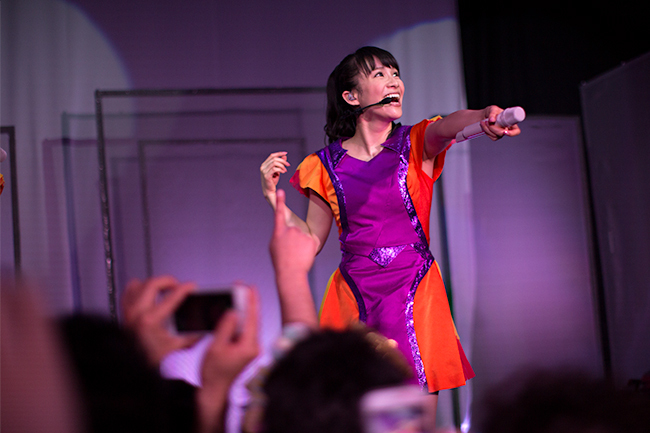 To read our review of the concert, click here. Update (1:50 p.m.): Melbourne, Australia-based band Twerps released their second full-length album, Range Anxiety, in January and will perform at the Panache party at the Hotel Vegas Patio Friday at 9 p.m. We talked with Julia MacFarlane, the band’s guitarist and vocalist, about the band’s influences, writing and SXSW hopes. Read the full interview here. Update (12:10 p.m.): Click here to see our photo slideshow of Thursday. Update (11:20 a.m.): Good morning South By Southwest! There are only a few days left but still so many artists to see. Take a look at our schedule for today, and join us in seeing some of the best. SXSW Keynote Conversation: Snoop Dogg — As the first hip-hop artist to give the keynote address at SXSW, Snoop Dogg will discuss the music industry and his career. Best Coast — Rock duo Bethany Cosentino and Bobb Bruno perform at the Austin Convention Center. Courtney Barnett — The indie-rock singer-songwriter from Australia performs at the Austin Convention Center. Leon Bridges — The native-Texan gospel and soul singer performs at St. David’s Historic Sanctuary. Max Frost — The Austin-native singer-songwriter performs at The Driskill. Update (10:30 a.m.): Right now, editor Kat Sampson is live-tweeting “SXSW Keynote Conversation: Snoog Dogg,” featuring the rapper and filmmaker/moderator Allen Hughes. Follow her at @katclarksamp for highlights from the discussion. Live-tweeting for Snoop Dogg’s speech and interview begins at 11 a.m. The keynote address will touch on the artist’s YouTube series, his branding techniques and upcoming album. Update (9:00 a.m.): Today’s weather is likely to be the worst SXSW will see. There is a 60–85 percent chance of rain and thunderstorms. A flash flood warning goes into affect at 4 p.m. and will run through Saturday afternoon. The last six days have blessed festival-goers with lovely weather despite questionable forecast. If that trend continues, clouds should clear by 3 p.m. Don’t get your hopes up. Check here for a more detailed look at the weather. Over the course of this week, we'll be live-blogging South By Southwest — the good, the bad and the outrageously hip and sweaty. Follow Daily Texan reporters, photographers and editors as we post the highlights of our work here. 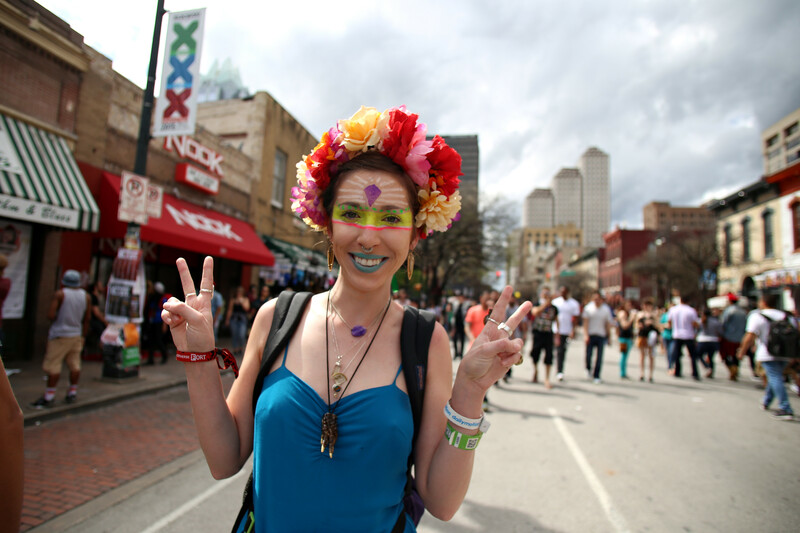 For minute-to-minute coverage of the best and the worst that SXSW has to offer, follow us on Twitter at @thedailytexan. 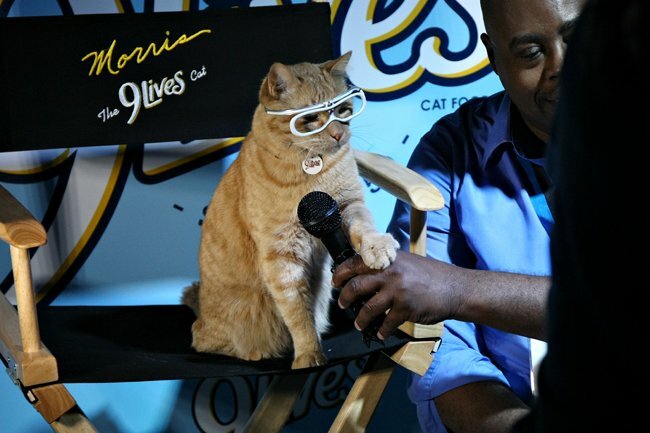 Want a recap of Monday at SXSW? Check out our coverage on yesterday's blog. Update (11:00 p.m.): "Get Hard" features an all-star cast of Will Ferrell and Kevin Hart. Unfortunately, these great actors can't save this film from being a trainwreck. Although the film boasts such talent, the plot and humor drive it into the ground. To read the full review of "Get Hard," click here. 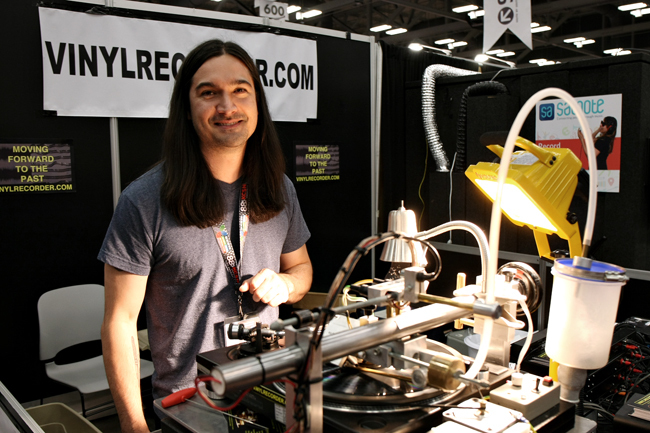 Update (8:46 p.m.): In the middle of South By Southwest Trade Show’s business suits, out-of-this-world technology and bundles of free swag, custom vinyl maker Wesley Wolfe blasted a classic ’60s soul record. Wolfe is the owner of Tangible Formats, a business in North Carolina that cuts custom vinyl records for people in need of small quantities. Wolfe, one of more than 250 exhibitors at this year’s trade show, was returning to the festival for the fourth time. To read about Wolfe's process for creating custom vinyl records, click here. Update (8:16 p.m.): If you are thinking of driving downtown, don’t. Parking is a horrendous pain. Don't believe us? Check out the Austin parking map featured on the Austin municipal government website. The map updates every hour and displays available street parking. Red lines signal 100 percent capacity; orange and green lines signal at least one place to park. For the majority of the festival, the lines will remain red. Consider parking north of the Capitol in a public parking garage or on the street and taking Capital Metro Bus 1 or 3 to the corner of Fourth and Guadalupe streets. A single fare bus trip is $1.25. If you have trouble understanding the Austin bus schedule, download the CapMetro app or the Transit app. Both give you the closest stops to your location and the most efficent routes to your destination. Routes can also be calculated on the CapMetro website, http://www.capmetro.org/. 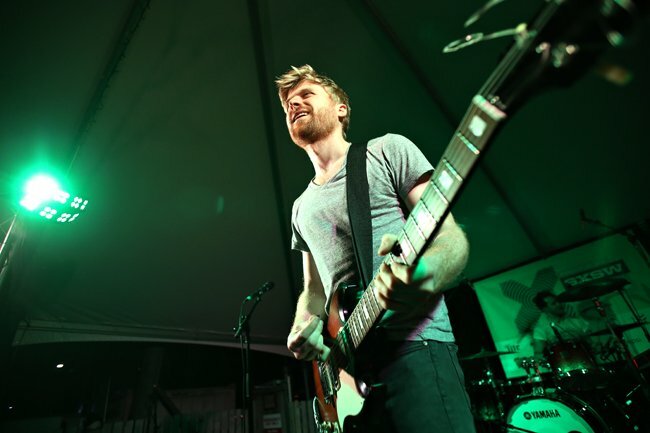 Update (1:10 p.m.): As music kicks into gear at SXSW, be sure to check out our recommendations for the best free music events at SXSW here. 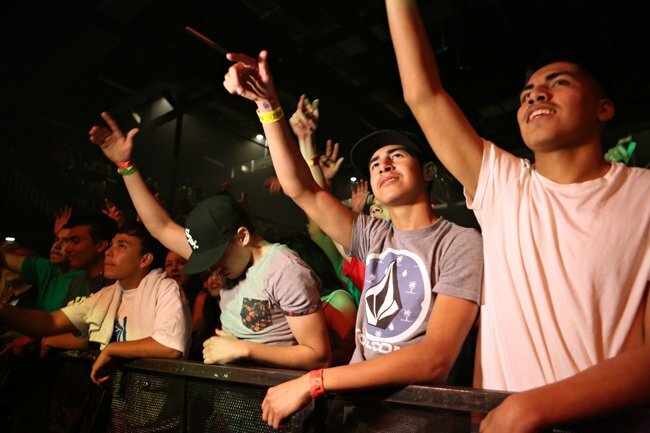 Update (11:00 a.m.): To check out our slideshow of Monday at SXSW, click here. Update (10:30 a.m.): Weather report: Today is the first day of bad weather, with rain and lightning expected to start around 3 p.m. Don’t plan on cloud coverage burning off today. Temperature will hang around 75 degrees. Make sure to bring an umbrella and a waterproof bookbag to hold electronics. Check the full weather report here. Update (10:00 a.m.): Good morning, Austin! It’s only Tuesday, and the number of celebrities we’ve seen is unreal. 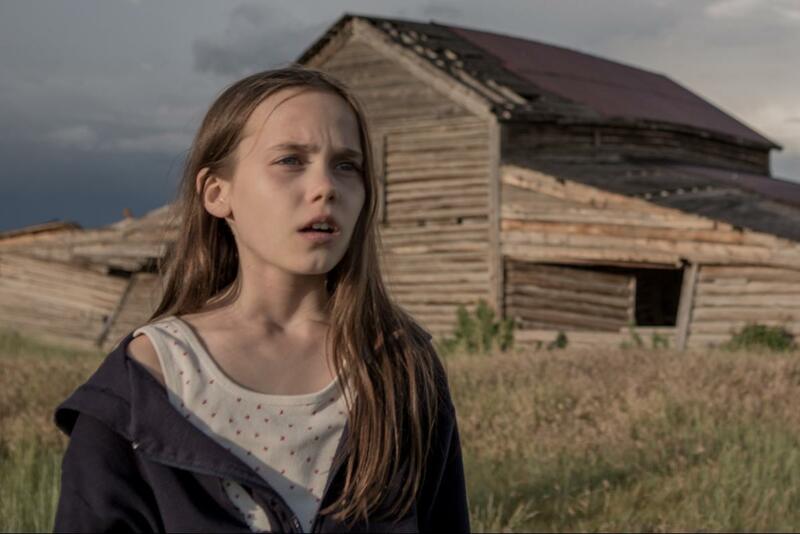 The world premiere of actor and director Robert Duvall’s “Wild Horses.” The film follows Texas Ranger Samantha Payne who reopens a 15-year-old missing person case, featuring Adriana Barraza, James Franco and Josh Hartnett. When: 11:30 a.m. – 1:10 p.m.
Newscaster Dan Rather, Dan Pfeiffer, a former top strategist to President Obama, and digital strategist Andrew Bleeker discuss how digital technologies have changed mainstream media and journalism. 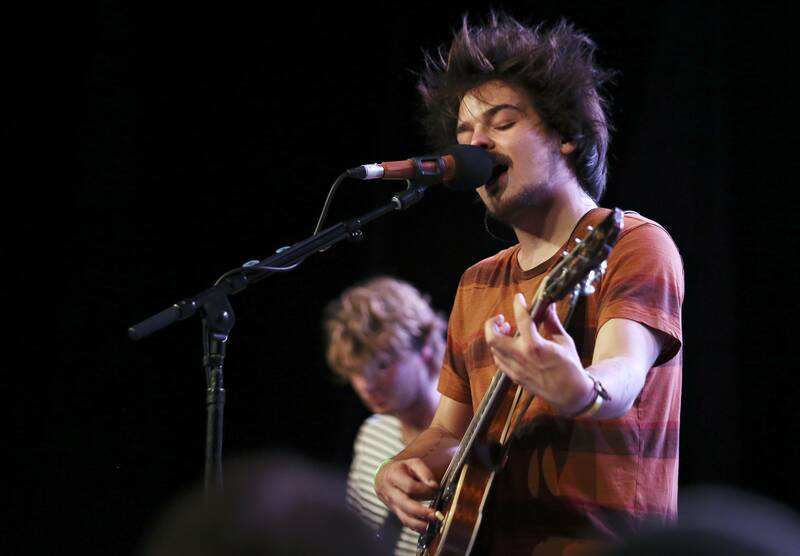 The American folk and indie rock singer performs. When: 1:00 a.m. – 1:40 a.m.